This is a lesson plan intended to be used for Thanksgiving, but you could utilize it at any time of year. It is the account in Luke 17:11-19 of the ten lepers who were healed by Jesus, yet only one returned to give thanks. 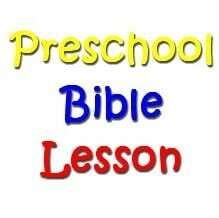 The lesson is designed for children’s church or Sunday School and is intended for preschool children, ages 3-5. Objectives: To develop students who form a pattern of thankfulness at an early age. To understand that Jesus heals both physical ailments and spiritual conditions of the heart. Have any of you ever been sick before? Have you been to the Doctor’s office? What sorts of things did the Doctor do there? Today, we’re going to learn about ten men who were very sick. They had a bad disease called leprosy. It was something that hurt their skin on their hands, feet, nose, throat, and eyes. They had to go to the doctor to be healed! But this Doctor wasn’t a doctor like you or I have ever seen. This was a special Doctor. Let’s learn about Him today! Teach this lesson through a dramatic interpretation of Scripture. Have the children actively engaged as you read along. Verse 12: As he was going into a village, ten men who had leprosy met him. (Count to ten on fingers.) They stood at a distance. (Hold your hand above your eyes like you are looking far away at something.) Tell the students that they had to stand far away from people so that others wouldn’t get sick too! Verse 13: And called out in a loud voice, “Jesus, Master, have pity on us!” (No inside voices here! Repeat after me: Jesus, master, have pity on us!) These lepers knew that Jesus could make people well! Verse 14: When he saw them, he said, “Go, show yourselves to the priests.” And as they went (feet marching again), they were cleansed. (Look at skin and say: Wow! All better!) The lepers had great faith that Jesus would heal them. And He did, as they travelled on their way! Verse 16: He threw himself at Jesus’ feet and thanked him (have the children get on their knees and say: Thank you Jesus. You’ve healed me.) – and he was a Samaritan. Verse 18: “Was no one (shake heads no) found to return and give praise to God except this foreigner?” Do you think that the other nine forgot to say thank you? Verse 19: Then he said to him, “Rise and go; your faith has made you well.” (Have the students stand up, march their feet, and smile.) Jesus healed the man’s skin problem, but He also healed his heart. Because the man believed in Jesus, his sins were forgiven too. Every part of him was made well! Application: God has given us so many gifts to be thankful for. We can be thankful for Jesus, who died on the cross for our sins. Our hearts can be very sick without Him! We need Jesus to heal our hearts and forgive us! I am thankful that He has the power to do that! We can also be thankful for good health, food to eat, our church, etc! Let’s remember to thank God today, like the one man did in our Bible lesson. Have the children form a horizontal line, facing you. The teacher assumes the role of Doctor for this game and backs up to create a good distance. Choose a child at the left side of the line to go first. He/she needs to ask, “Dr, may I take ____ (number) giant, regular, or baby steps?” The Dr. responds either, “Yes” or “No.” If yes, the child takes the pre-determined number of steps and says thank you. If the child forgets to say thank you, they need to return to the starting line. Play continues with the next child. The first one to high-five the Doctor wins. Have the students place band-aids on heart outline. Inside the heart, invite them to tell you what they are thankful for. Write down their responses. Ten healed lepers but only one said thanks. For my family; for my friends. Thank you God for all You’ve done. Need More Help? Check out all our Children’s Ministry ideas for Thanksgiving. You may like the other Preschool Sunday School Lesson for Thanksgiving or our printable Thanksgiving coloring pages. Tony Kummer (Editor) reviewed & updated this page on : January 26, 2011 at 10:34 pm. All our content is peer reviewed by our readers, simply leave a comment on any post suggest an update.